OK. I know someone here is a fan. I want to get a good cheap one. I am looking at the Minelab 60 and the Garret 200 or 250. I like the 250 for the features and that you can change out the coils in the future. But I like the 60 because of the packability and price. The 60 is a discontinued model. And that is the reason for the cheaper price. Plus I think I can get it even cheaper as I get a really good discount at a friends sporting goods store that carries Minelab. Not sure if he can get Garret. If he can than I am sure the discount will be the same. A lot less than the advertised price. JasonJ, DavidJAFO, LarryB and 5 others like this. Now Santa Cruz CA. does have some beaches, and I'm sure lots of jewelry (Rings, necklaces, chains etc) have been dug up, but I don't want to be "That guy" on the beach detecting. THRsucks, JohnP, central joe and 1 other person like this. My neighbor does metal detecting here on Maui, both spec searching and when called out because someone lost a ring or other valuables. Dave can search underwater, and he's got an awesome record of successful finds. He has good gear he uses, and also has had extra gear for people who want to try it out while they are visiting. Hunt him up as Daves Metal Detecting, I'm betting he'd be happy to answer questions you might have, if you reach him via one of the social media sites on which he participates. DavidJAFO, THRsucks, JohnP and 1 other person like this. I bought a used metal detector years ago. I was going to use it to find brass cases, but I ended up building a net to catch them. Yesterday I dug it out. I was going to use it to look for a crossbow bolt I had lost in the grass. I looked up the instructions online and after reading over them several times on how to adjust the half dozen knobs on it I asked myself if I really wanted to stick three nine volt batteries in it. I didn't. There was so little metal on that bolt I figured it would be a waste of time. Too bad you weren't closer. I'd give it to you. I'm sure the newer ones are better though. JohnP and central joe like this. I bought a Minelab Sovereign back in 2000 or so, good metal detector, talk about rabbit holes that can be expensive... The metal detector hobby can get crazy expensive. Be careful about how cheap you go, generally cheaper means very little discrimination circuitry and you will spend most of your time digging up pull tabs, bottle caps, nails etc.. I've been coin/jewelry detecting since 1972 (paid for my first detector with a find the first day I used it) and if you don't get one with decent discrimination I guarantee you will tire of the hobby quickly and will put your machine up for sale like so many other used ones you see out there. Portage_Monster, Jason in ID, JohnP and 1 other person like this. recycled365, DavidJAFO, LarryB and 2 others like this. I won a Bounty Hunter, don’t remember which model, several years ago. I was not impressed with it. I agree with what others have already said. Discrimination is very important or it becomes a wall hanger. As a teen I used various whites metal detectors. As an adult I currently don't have time to take up treasure hunting. I would recommend staying in the $200-300 for a balance of price and quality. Maybe a White's coin master or Fisher in the same price range. I just looked up the Minelab and didn't know that they had detectors in that price range. Good luck with your search. Edit somehow I had half a sentence missing. My brain must have got in front of my fingers while typing. Yes stay away from bounty hunter if you want to get serious with this. I once found a KC Royals, like a class ring, ring about 3-4" under an old fashioned pop top at a public park. Also remember that gold rings register as trash and white gold will register like pop tabs. LarryB and central joe like this. recycled365, LarryB and central joe like this. I have a Garret and a White Pulse detector. If you are going to search saltwater beaches you have to have a pulse unit. If money is a problem it is better to buy a more basic model from a good company than a unit from a no-name company. Who are you going to get to work on it? A Whites, Garret or Fisher can be repaired. I have changed jobs twice but now I am thinking of getting my detectors out. Retirement is just 20 months away! Retirement? You think you're going to have more free time, then you do now???? Silly man. JAY and central joe like this. I am sure I metal detect more than anyone here. Your soil will dictate which detector is best. Mineralization equals no cheap detector. Technology has increased so much in the last few years, guys are going back to places they though they had cleaned out to find much more deeper items the last technology had missed. Cheap detector means less finds. No use in arguing with me on this. I was a dealer and currently hunt 3-5 a week. I started with a Tesoro Bandito, DeLeon, Vaquero and went to Minelab sovereign Elite, then to Troy X5, Fisher F75 and Nokta Impact. Used the Garrett AT Pro for water as well as a CZ20 and Minelab Excalibur. All of that to say I know detectors. If you intend to park hunt for clad coins your plan would work. I use a Minelab Equinox 800 because I hunt water as well as land. One detector to do both. If you strictly hunt private property that hasn’t been previously detected, a lower end machine will suffice for awhile. Some of my finds this summer. The copper is old copper culture and dates back 6000 years. Most were 8-10” deep. The silver was 12” deep and just a squeak. Portage_Monster, Oni, JasonJ and 8 others like this. Some of the places are going to be parks. But I have access to many old farms that have never been searched. Many of these farms are sod buster farms here in Iowa. A few are on islands on the Mississippi river. Most are along the Maquoketa river here in Iowa. Some of the homes are still standing. Others are just limestone foundations. Others are just shallow depressions or rock walls. I already have access to these places from being able to hunt them and through family and friends. And others by how private and public property works here in Iowa with the flood water levels for access. I know of 4 ferry crossings on one river. And 2 shallow regular crossings. One was a major stage coach crossing with a pony express type mail route turn around and Salon/motel (dancing girl) type house! This is the one I really want to search. It is all gone. It is a field now. I don't think anyone has searched it. But it is known about what it was around the whole community. JasonJ, LarryB, central joe and 1 other person like this. Keep in mind when checking around old homesteads the most productive areas are along pathway from road to front door, under old trees on front lawn. Whendoing river work consider max flood heights from colonial times, in my area(Kennebec river in Maine) ferry crossing keepers house, trading/suttler post were money was actually exchanged were built far back and above expected high flood levels. These location can be found on old town maps or in their historical societies, I often find old Spanish, French and English silver coins at such places. LarryB, central joe and TrespassersWilliam like this. Sounds like you have a good plan which is a big part of the hobby. I never recommend a “cheap” detector because the hobby is one of the few that actually makes you money! A good mechanic has good tools not the cheapest minimal ones. Since you are in Iowa, your soil should be fairly good. In the upper Midwest, we deal with hot rocks and mineralized soil. A cheap detector will be a singular frequency usually around 14 kHz. Good all around frequency but it lacks some muscle. The processor is usually slow which means target separation will difficult. We do good because many, many targets are next to a ferrous target and the low end machines can’t separate the ferrous out as it will be the dominant signal. Technology has improved to the point that you can now use multi frequency. My machine, the Equinox 800 has 5 five frequency’s that all work at the same time. 5,10,15,20 and 40. Each has a non ferrous zone or group it works best with. Together you get the best coverage of all frequency possible sub $900. $900?????? You might say no way! Remember I said that metal detecting pays you back? I have found more than 100 gold rings. Many with diamonds. My best is a 1.75 carat diamond ring. After I turned it in and getting it back in 30 days, it appraised for $13500. I was offered $3000 at a pawn shop. I gave it to my wife because I never could afford one she deserved. The native copper and fur trade I find is very valuable if sold. 1877 Indian head in good shape is a couple hundred, a 1909 S VDB is a couple hundred. Silver is 12 times face usually and most good condition silver is worth much more. Your plan is sound and I would recommend a Equinox 600 or a Garrett AT Pro. Both are going to set you back around $600. If you are bent on low end machines, I would recommend the Teknetics Delta 4000 or the Fisher F44. I always recommend one with ground balance capabilities. If you have metal detecting club near by, you should definitely attend a meeting to get an idea. My club has the cheap or old detector group and they are the ones that find the least. Good luck and remember to get a good pin pointer. The Chinese GP pointer is not good. I use the Garrett AT Pro pointer. There are plenty of YouTube videos out there on all machines. ozarkhunter, Oni, JasonJ and 4 others like this. If you go on Caribbean cruises now and then take along your detector, you will notice that there's always a dozen or so other passengers going ashore with theirs' to hit the beaches for coins/jewelry instead of the tourist shopping traps and don't be surprised if your findings pay most or all of the cruise itself, that's why we bring them. Oni, central joe, TrespassersWilliam and 1 other person like this. I bought a Whites DFX about 17 yrs ago with visions of treasure piling up in the garage. After about a year of digging up junk and pennies. I lost interest. Two years ago my brother called in a huge panic asking for advice. His new fiancé has lost her engagement ring while they were walking on the beach. I told him it’d be three days before I could get there, but I wouldn’t leave until I’d worked the entire beach. I bought headlamps, food and water, and planned to stay for 12hrs. Long story shortened, it took two full hours but I found the ring. After high fives and hugs I announced that I was to never again take any grief for my random hobbies and interests. This summer I went out a few times with my 7yr old son and found RR spikes and a couple bucks in change. He’s been waiting Expedition Unknown so I thought a metal detector safari would be right up his alley. It was! I know my DFX is a great detector, and I’m not getting it’s full potential from the preset programs. I need to take the time to experiment with it and learn it’s hidden powers. recycled365, Oni, JasonJ and 4 others like this. Here are some of the things I found just around town. I have not had a chance to get out to any of the farms yet. The one ring by itself is 12K gold and is ore important than all the others. It has 3 stones in it. One for my birthday. One for my brothers. And one for my mothers. She lost this 5 years ago and never told me or my brother. We got this about 15 years ago for her for her birthday. She had lost a huge amount of weight and it fell off her finger. She did not know where she lost it. She was so mad that she never told us. Well I was showing her my new metal detector and I found about 2$ in change in her front yard. She went in to make lunch. I got a solid 60-61 signal at 2" I was thinking dang aluminum. Then I thought, it was not jumping! I better dig this. HOLY COW GOLD!!!! Well I go running in the house to show my other what I found in her yard! She says "OH you found my ring?" Then tells me what happened. I am so glad that it turned out to be her ring. All the other stuff not to sure about. Nothing else is marked. Tons more of pennies. No silver yet. Oldest wheaty is a 1918. The second pic down the key is a roller skate key. The third pic was a bunch of buttons. There were 3 metal buttons that sounded off. There are two really small white buttons in the pic. These two are clam shell buttons. There was a factory that made them less than 2 blocks away from where I found these. I also found a small marble with one of the wheat pennies but I do not have a pic of that. juliuslim, Oni, JasonJ and 4 others like this. Nice haul, old farms are one of my favorite spots. If any of the fields have a lone or small copse of trees in the middle check it out as this was a common resting place for lunch and resting during the hot haying season. Also the base of large old tress on the front lawn as these were play/ picnic areas before front porches were added and check under old clothes line locations which were usually at the the back door to a tree or outbuilding so check at each for old hook locations. Be sure to check out near entrance area of old cemeteries where horse and buggies/later cars were parked as the men folk would often whip out their hankerchiefs for the weeping women that often brought out coins. pocket knives, and if your real lucky a rusted out pocket watch inside the nice gold case. Teknetics Minuteman. It is the exact same detector as the Eurotek pro they make, but labeled for the US market. It has a VDI indicator. 7.81Khz Built in pinpointer. Not the best but not the worst to find out if I want to stay with this. Oni, LarryB, central joe and 1 other person like this. Well I went to my friends sporting goods store and put a Minelab EQUINOX 600 layaway. He started to laugh at me. He asked what happened to just getting a cheap detector???? I told him you should know me by know. He said he does that was why he had the 600 and the 800 on hand. I had asked him about them so he knew I would want one or the other. LOL!!!! Oni, JasonJ, JoeJ and 3 others like this. Found this old silver wedding band yesterday. Flipped it to the old lady. Fits her little finger. Looks like I don't have to get a Christmas present now! Oni, JasonJ and Seacapt. like this. If, and let's say it's a big if and someone had a gun to your head; best bet if you had to compromise and pick a metal detector priced at no more than $50? I know, asking a lot and giving up even more. But what if you had to? I've seen recommendations for the Bounty Hunter BHJS Junior, the TK4 Tracker, and the Gold Digger or Quick Silver by BH. As well as a few models by Tesoro, VLF, RicoMax, the Minelab Go-Find 20 (goes in the under $100 range, so possible...).. Most of the units in the price range clearly will be depth limited, and discrimination is iffy at best.. I'd be sweeping loose beach sand, my backyard and perhaps some grassy parks, occasionally in sandy forest floor type environments looking for metal survey markers and the like. Finding things like lost arrows that I shot too low, or even old beer cans that my grandpa left in the yard 50 years ago would be "trash" that is interesting to me and could have personal value. Basically you would spend a lot of time digging without really finding anything of value or interest and would soon tire of the hobby like so many others, other than that those mentioned make a great exercise machine. Thanks. Monetary value is not too terribly important for me, but perhaps I'll search for a good used one of a better caliber. Check craiglist there are always some on there. Bounty Hunter is not a bad detector you just have to learn how to use it. Thanks for the tip, Tom. I've been reading a TON lately... seems the Tracker IV is pretty decent if you have to spend less than $100... but that $150-$300 range is where the detectors really get good. I guess what you give up with $100 or less MD's is good discrimination, so you're digging up a lot of junk, and obviously depth is an issue at times depending on the soil, rocks and such. I've checked the local craigslist for my area, plus around 50 miles... nothing that I can afford sadly, all about $400 or more for full set ups and lots of extras. Good deals, no doubt, but for me, for something that is going to be a once in a while activity, not sure those "deals" are a wise investment. I can get the Tracker IV locally for about $65... wife is willing to pitch in $40 that she was going to spend on me for Christmas, if that's what I want.. so my cost is about $25. I dunno... I don't like buying sub-standard garbage, but "eh, good but not great" is that fuzzy grey zone where you're left unsure what to do. Thanks for the help on the question- gives me some things to think about. It's winter in Mi. so don't rush into it. 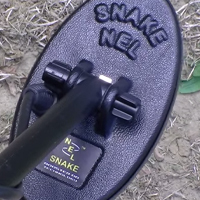 Put a want ad in CL to see what may be available for Metal detectors in your area as you still have 3months to find one and the ground is thawed enough to use it. LazyPK, JasonJ, Seacapt. and 1 other person like this. are you done catfishing for the season? Nice finds, just one of the reasons I like the hobby since I never had to spend much money keeping my wife and daughters in jewelry. Once in a while I'd sell a semi or precious diamond or other gems and use the proceeds to pay a jeweler to reset the stone(s) into a new ring base or neck pendant. JasonJ and tomme boy like this. @Seacapt. Someone was crying when they lost this one! My better half will differently cherish it though! Between the silver ring and now this I have Christmas and her birthday covered next month! JasonJ and Seacapt. like this. And you've only been doing this for what, like 2 or 3 months? Excellent finds! Certainly that MD has paid for itself in your treasures pulled out of the ground! True... although it's been in the 40s, so shorts weather 'round these parts! lol. Naw, that Polar Vortex is coming in January, so yeah it'll get damned cold and as frozen as a rusted up bear trap. I'll put some feelers out on CL, keep checking periodically.. I wasn't going to make any purchases until Jan/Feb anyhow. I'd like to get something more mid-upper entry-level (is that a thing? ), but if need be, I'll use a 40% coupon and get the Tracker IV for about $65 and see how it goes. Small investment just to see if I like the very idea of walking around waving an electromagnet around the ground. Small price to pay for a "trial run", even if I pull out junk, ya know, that's OK too... it's the excitement of finding something that drives me. Valuables are just bonus. BUT, if I come across a great deal on a nice Garrett, or Minelab, Tesoro, Fisher, etc... it'd be worth my effort to pick it up. Worst case, I just sell it right on to the next enterprising young feller. Obviously I'd want a nice unit.. no one wants to own or use garbage or a waste of time. But, funds aren't limitless for something I may not enjoy or do a lot of either. Good comments, thanks to Tommeboy for letting me sidejack his thread, you've all given a lot to think about and might have changed my direction of thought on this (for the better). I haven't touched my Fisher F44 in probably a year. Your pics are making me want to get out and use it for a while. Most of my finds have been clad coins and a few sterling silver rings. My primary target areas have been school yards and sports fields, so that explains the lower value finds I have recovered. I recently looked at a place to hunt hogs that had a small farming community wiped out by floods around the 40's. There is a concrete storm shelter remaining and a working water well (think long handled pump well). I know water completely covered the area to the point that houses were washed down the river. It continues to be actively farmed for row crops, so who knows where stuff might have been dragged by a plow...? Out of curiosity, do any of you use a pinpointer once you locate with your detector? Love my little Garrett "carrot". RustyGunn and JasonJ like this. I seldom use my pointer with my detector, but use it all the time to check for gold nuggets in my pan (plastic) up on the E.Branch of the Swift river after washing down to the iron pyrite stage. Given the areas I have used my detector being school yards and sports fields, I try to make the smallest hole to recover a find as possible. I often just use a flat pointed screwdriver with a thin blade about 5"-6" long. I have used the pinpointer to help find targets in dark colored holes to reduce the amount of soil I remove. It comes in handy when detecting after dark... Even on public ground with permission, sometimes the neighbors and passers-by give some odd looks. You can't see them in the dark. Maybe check the classifieds on some treasure/metal detector forums. Yes I use the pinpointer on the detector itself and I have a handheld one also. The one built into the detector is really nice. It gets you to within a nice 3" circle. The coil on this one is a concentric. A big "O" with a small "O" inside. The pinpoint is in the small "O" Plus it give a audible sound and depth reading. So the louder it is the more centered you are and the stronger the signal. One thing I found is go to where the people are at. That was my advice from a fellow that gave me. It has worked for me. I have gone to a couple of farms already but all I am finding is a bunch of rusty bolts and shotgun heads. Most of these farmers must have been really poor as I have yet to find any coins. But the old parks I have yet to find any of the old coins. I know they have been hit really hard. But we will see when I get the Equinox shortly! ozarkhunter and JasonJ like this. The Fisher F44 has a concentric coil as well. I also bought an NEL snake coil, which is a 6.5"x3.5" DD type coil for more discrimination between ferrous and non-ferrous metals. So many toys, so little time... sigh... The snake coil is much smaller and takes longer to cover more ground. I prefer the concentric coil for clad hunting. I did use it (snake coil) around a local high school in an area that has HIGH traffic... a pavilion area with a concrete pad and picnic tables where students eat lunch outdoors and spend time before and after school. You can't imagine the amount of aluminum tabs, aluminum pencil eraser sleeves and random metal garbage there was... The snake coil did help with targeting and discrimination there. The larger coil read numerous targets at once and was almost never silent. Found lots of clad dimes and nickels there, but no jewelry or valuables. tomme boy and JasonJ like this. JasonJ, BBizy and ozarkhunter like this. If you just have a couple of hours to get out with a detector and want to just dig multiple targets, check your local school grounds and public parks. GET PERMISSION FIRST! Fortunately both our school system and parks and recreation dept. in Fort Smith, AR told me that if it isn't locked behind a fence, it is public property. I assured them I would make as small a hole as I could and would replace all soil and grass. They seemed to appreciate that reassurance. Detect along sidewalks in parks, schools, etc. Many detectors will sound off on rebar in the sidewalks if you get within a couple of inches. Between sidewalks and fences around ballparks. Edges of outdoor basketball courts, skateboard parks, walking trails... We have a large park with multiple ball diamonds and numerous soccer fields. Watch when there are soccer games to see where the "crowds" sit. Those are good places for lost pocket stuff. If a ballpark as a concession area... CHA-CHING! People start pulling out pocket money as they get near the concession area and sometimes miss their pockets trying to stuff change in with one hand as they carry momma's nachos back to the stands with the other. Under playground equipment - swings, bottoms of slides, climbing equipment. I enjoy just digging multiple targets in an outing. Getting a feel each outing for the difference in sounds between a copper penny and a "zincoln" zinc penny, etc. Unfortunately my detector sounds similar on small gold rings and zinc pennies. The zinc does "disappear" sometimes with sweeps from different angles. rich11coop and JasonJ like this. Harbor Freight gloves! The black ones for about $4-$5 are about perfect. I think they are the Hardy branded ones. They are thin enough to be able to feel everything but thick enough to protect you also. Otherwise any type of mechanics type gloves. They are a must. There are lost of glass and rusty nails and other pointy things in the holes. Especially the aluminum trash! That stuff will tear you up with out a glove on. Found that out FAST! I went right out and got a pair of gloves.